This kitchen appliance can also work for cooking rice and other foods. 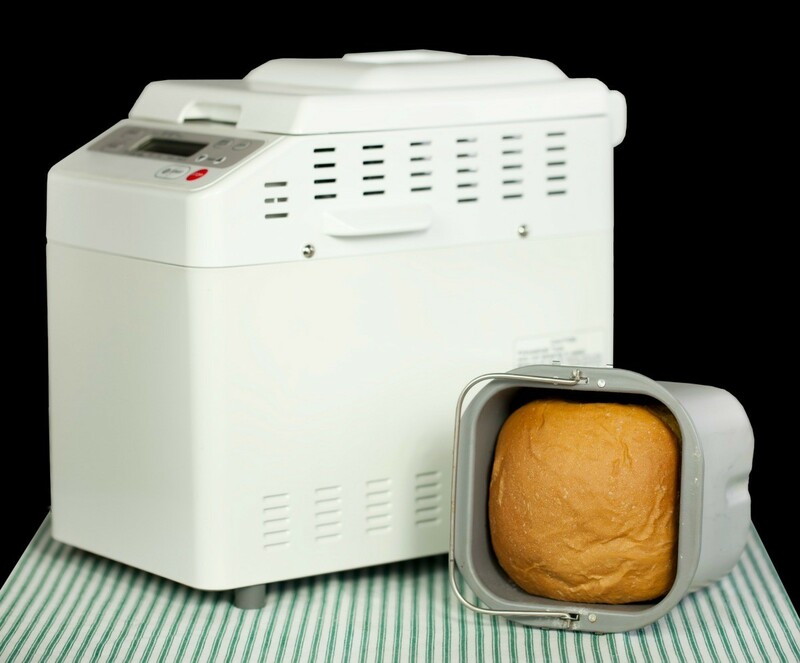 This is a guide about use your bread machine as a rice cooker. It's not thrifty or FUN to have to throw away pot after pot of scorched, gummy, or undercooked rice. But that's just what I was doing time after time trying to get a decent pot of rice cooked. Good rice eluded me! I never cooked a pot of perfect rice on the stove, never, not once. But I did discover something that has worked for me and maybe it can work for you too. My bread machine that I use almost everyday has a bake only feature that lasts one hour. One day I wondered if I could utilize that setting to steam rice, kind of like those expensive rice machines. I put one cup of rice and two cups of water in the bread pan, fashioned a lid from heavy duty aluminum foil, tucking it around the edges of the pan, and set the machine to the bake setting. It worked! I had made perfect rice for the first time in my life! Was I happy! Source: My own rice cooking desperation! You don't say whether or not you leave the paddle in. Please advise. Thanks. Isn't it more economical, simpler and much less clean up to learn how to cook rice properly? No wasted foil either. I generally microwave mine (we use brown rice or barley as it's much healthier than white rice). It comes out beautifully and I can store it right in the container I used to cook it. I use a dish with a vented lid. As long as you measure the grain and add the appropriate amount of water. you shouldn't have any problems. I also make use of the oven if I'm cooking another part of the meal that can tolerate a little steam. I put the grain in a pan with the right amount of water alongside the other dish so I get double use out of the oven...even more economical. Of course if you're trying to oven fry or bake something crisp; you don't want to be putting your water and grain in there but it works well with a lot of dishes. GaJan, my paddle is so stuck on the post in the pan that I couldn't get it out if I wanted to! hahahahaha So yes, I do leave it in for cooking rice. But on my bake only cycle the paddle doesn't move. Thanks for bringing my omission to my attention. Wow Susan! I would have never in a million years thought to even try cooking rice in my bread maker! Just goes to show you how thinking outside the box can be a good thing. I too struggle with making the perfect pot of rice so I will give this a try! Thanks for the great idea!